The Sitcom has been a staple of television for over 70 years, but creating a successful Muti-camera show can be more nebulous than it initially appears. We’re going to breakdown the anatomy of arguably the greatest Sitcom scripts of all time: Seinfeld. What makes Seinfeld scripts timeless? The sitcom has been a staple of television for nearly 80 years. Some of the most successful shows in history used a multi-camera format, recorded in front of a “live television audience”. In 1989, something very significant happened in the sitcom world. This was the philosophy behind arguably the greatest show of all time, Seinfeld. Every working writer in Hollywood wants to create a show that runs for nine seasons, and 180 episodes. Building a net-worth of $870,000,000 isn’t too bad either. Writing a show that has this kind undeniable power has only been done a handful of times, which is why we set out to understand how Seinfeld connected with the viewer. We’re going to take you through the science and structure behind Seinfeld scripts. What makes Seinfeld so unique as a show is that it has no real interest in change. One of the basic lessons a screenwriter learns is that their characters need to go through significant change, so that the viewer can have an emotional journey. 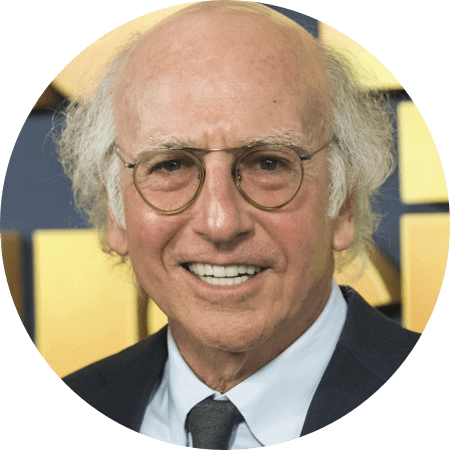 But “in a world” of tired tropes and formulas, stand-up comic Jerry Seinfeld and writer-producer Larry David created the ultimate show about nothing. They have very little interest in moral behavior, but are completely focused on the group's depraved version of ethics. That isn’t to say Seinfeld doesn’t have a formula, but it is built around resistance. Resistance against the formulas that govern so many other shows. Identify and label the problem. Try to outsmart the problem. Jerry identifies and labels a woman who speaks too quietly a “Low Talker." Jerry tries to outsmart the problem by nodding to everything she says. Well, not a hero exactly, but the show is named after him, and the Seinfeld formula is mainly interested in Jerry’s arc throughout the show. There may be two or three different subplots in each episode, but they are just funny ideas that work — and their place in the Seinfeld formula is less rigid. “I’d like to say it worked organically or it worked from going backwards, but... it never really happened the same way twice. A couple of times, I would think that I had it down pat, like in the episode with Teri Hatcher, "The Implant." I had stories, but I also started off with four or five really great scenes. They had nothing to do with each other, but I knew they would make great scenes, so I started finding a way of mating them together. That episode came out great, so I thought that that was the way I would always do it. It never worked that way again. The process of that was pretty much a struggle every time." This statement shows that Seinfeld and David are not about forcing an agenda, but rather allowing the organic convergence of funny ideas. Sometimes it works better than others, but the jokes and the situations are always funny, and often still hold up today. Seinfeld characters each have their own unique ways of attacking a problem. Jerry often has trouble dealing with imperfections. He's a clean freak, and seeks new love interests that ultimately disappoint him in some way. George often has trouble with self loathing. He fabricates alternate personas attached to dream professions. He double-dips chips, and triples-down on lies. Elaine has trouble with her professional life. Her employers' problems often become her problems. She has a temper, but also a desire to be seen as polite. Kramer has problems that aren't actual problems. Too much sand in his clothes, finding a discarded Merv Griffin set, attaching a screen door to his 4th floor apartment. We’re going to take you through the anatomy of the classic Seinfeld script "The Switch," and show you the formula in action. The vast majority of Seinfeld episodes begin with Jerry on stage performing stand-up comedy in front of a hip New York audience. These openings can act as a quick little preview of the upcoming plot, or simply provide a joke that is related to some essential part of the episode. This only takes half a page, and is a great way to get laughs while keeping a nice pace. The writers always label a problem for the main characters to “solve”. Jerry is dating a “non-laugher”, which is ironic because he is a comedian. For Subplot A: While at the tennis club, Elaine tells Jerry she needs to retrieve a tennis racket for her boss, which she then politely lends to a possible future-employer. Elaine makes the selfish decision to gamble with something that doesn’t belong to her, all in an effort to ingratiate herself with a more favorable employer. George and Kramer walk down the street, and discuss how George’s new fashion model girlfriend may be bulimic. Remember: These subplots have the ability to connect to the main story, and go though a similar arc, but the formula at work only needs to work with Jerry. He is our hero. You need Jerry to Try and Fail before you can end Act I. This first attempt is pretty low-stakes, and often is just a confirmation of suspicion rather than an actual remedy. This is where we get to see his selfish nature churn. Jerry has no intention of asking her if she finds him funny. He has no interest in hashing out this problem in a mature manner. He just wants to confirm his suspicions. In this episode, George has a very similar experience with his issue. Meanwhile Elaine attempts to get the tennis racquet back, but is too polite to retrieve it. Each subplot has its own unique try and fail, but their place within the act structure isn’t as precise as it is with Jerry’s plot - the main plot. Seinfeld understands that no matter what, you need to cut to commercial with a big piece of information, and hopefully a big laugh. It doesn’t need to fit into some little formulaic box beyond basic satisfaction. Just make us laugh, and make us want to come back for Act II. Seinfeld scripts do a great job of resetting the stage for the viewer, and reminding us of the problem Jerry faces. They would quickly explain where we were, how we got there, and where to go from here. At this point in a Seinfeld script, we're reminded of Jerry’s problem, and all the separate problems in the various subplots. At this point in "The Switch," George enters the apartment and publicly declares that he “heard a noise”. This is in reference to his girlfriend forcibly “refunding” in the ladies restroom. In the middle section of the show, something will be introduced that ultimately derails the situation, and changes our view moving forward. She has a great laugh! Now we have a new development that has changed the landscape of the episode. This happens, but then this happens, therefore this happens. It isn’t enough to string events together. There needs to be a causal relationship that breeds conflict, even if it is a simple as doubt or desire. The subplots at this point are separate, and each character is off dealing with them in their own unique way. We don’t get bored or bogged down by a singular story or tone. George is still cynical. Elaine is still too polite. Both are still funny. Jerry has tried and failed once (testing the non-laugher) but now it is time to try again, and this time you need to raise the stakes. His selfish nature needs to stretch its legs, and the group needs to begin to gamble on something. Jerry and George spend the rest of Act II figuring out a way for Jerry to switch from his current love interest, to her roommate without incident. It’s a selfish gamble, and if it pays off, it will allow Jerry to date without inconvenience. As you can see, this is a big reveal, and it’s a really, really funny moment. This is similar to the Remind the Viewer section of Act II, because we’ve come back from another commercial, and we need to remind our viewers of the old problems as well as the new developments. They have set the stage for Jerry to gamble. We know that what he really wants is to date the other roommate, and that is the goal. It just needs to be funny. This is where Jerry attempts his final plan. This has to blow up in his face in some way, but that doesn’t always have to be a negative result; just a funny surprise. Jerry attempts to outsmart his problem: Attempt #2 "The Switch"
How the show cleverly wraps up all of the seemingly unconnected stories into one big narrative is often what many people say is their favorite aspect of Seinfeld. This is less scientific than many think, and much of this is nothing more than efficient television writing. The characters often meet back at Jerry’s place to debrief. They each discuss how their unique attempts to solve their problems have gotten the better of them. A subplot will connect with another, and then each will come to some form of resolution, staggered, like race cars crossing a finish line. In The Switch, Jerry explains his attempt to trade roommates, but this has no bearing on George’s problem, or Elaine’s, or even Kramer’s. The connecting stories are all subplots in this episode. George tasks Babs (Kramer’s restroom-matron mother) to confirm his suspicions that his girlfriend is bulimic, but she quits (on behalf of Kramer’s request) without telling George, therefore setting him up for a humiliating public failure. Elaine needs a stand-in tennis racquet for her boss, and Newman (Jerry’s neighbor) owns the same model racquet, which is somewhere in his apartment. Seinfeld scripts don't need to constantly raise the stakes. Often the show lowers the stakes. The smaller the problem, the better. Because there is no need to make a big statement beyond what's funny, and if it isn't funny, it doesn't make it in the show (hopefully). Many other shows focus on being bigger, louder, and more severe. Bigger stakes, more characters, more to be learned, more to be changed. Fewer characters, smaller stakes, trivial pursuits. The best golfer is often the person with the fewest clubs in their bag. So it goes for sitcoms. Do you have the perfect idea for your sitcom? Check out this article that teaches you how to outline your script for film and TV. Get your great idea organized. It will help you spend less time staring at a blank screen, and more time writing show. Have any comments or question? Want to tell us something about Seinfeld scripts that we didn’t touch on? Let us know in the comment section below. Please follow us on Instagram and subscribe to our YouTube channel for content updates.